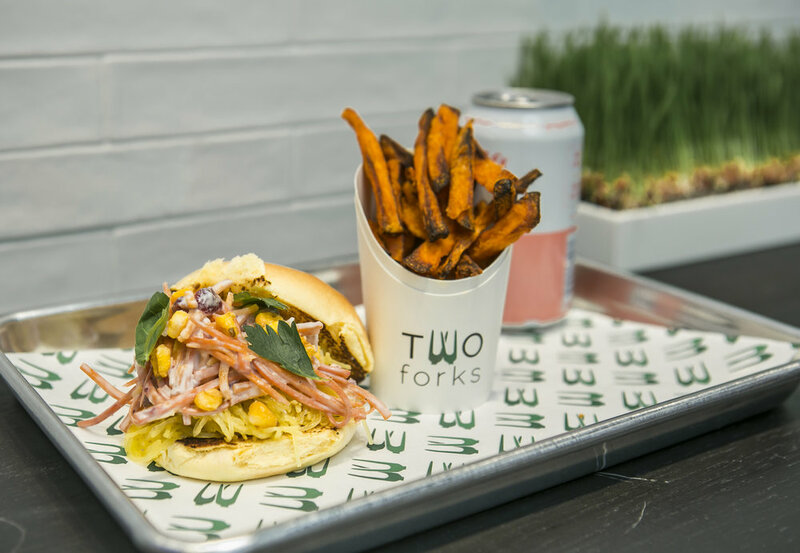 A NEW FAST CASUAL EATERY LOCATED JUST STEPS AWAY FROM BRYANT PARK. Two forks mission is to pair all natural, slow cooked meats, with seasonal slaws and globally inspired sauces. They source ingredients from farms that support the most dedicated growing practices and a philosophy that aligns itself closely with the Two forks brand.